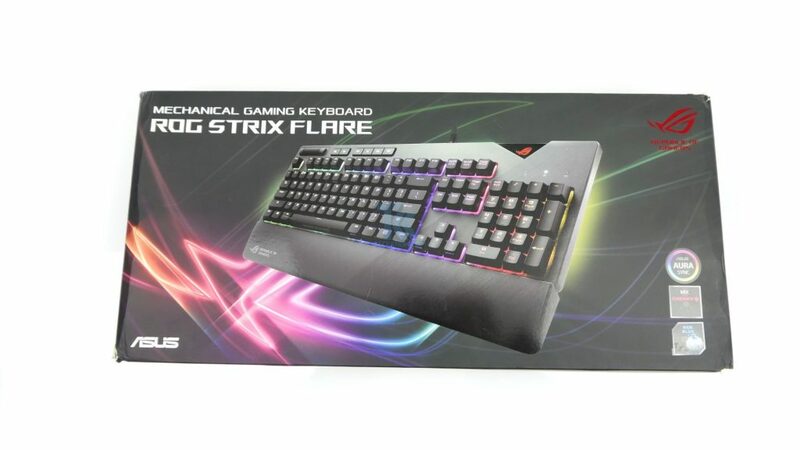 ASUS ROG STRIX Flare comes in a black cardboard box with a picture of the keyboard itself along with some features on the front and a detailed overview at back. 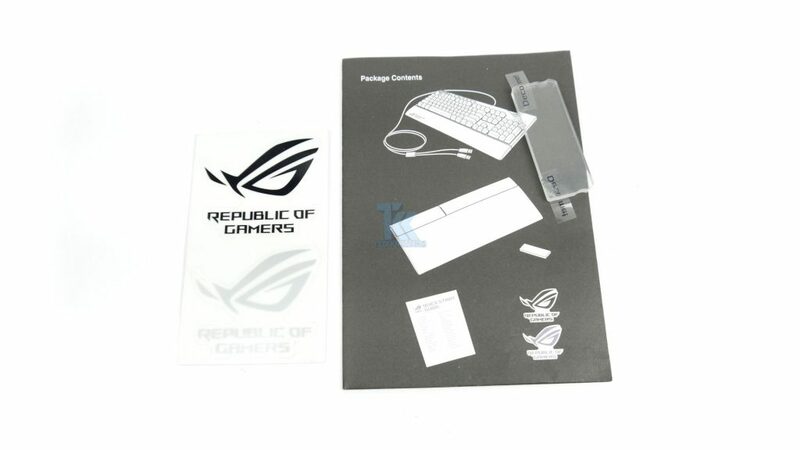 After taking out the keyboard from the box you will see an information booklet, some ROG stickers and one extra acrylic piece for customization. 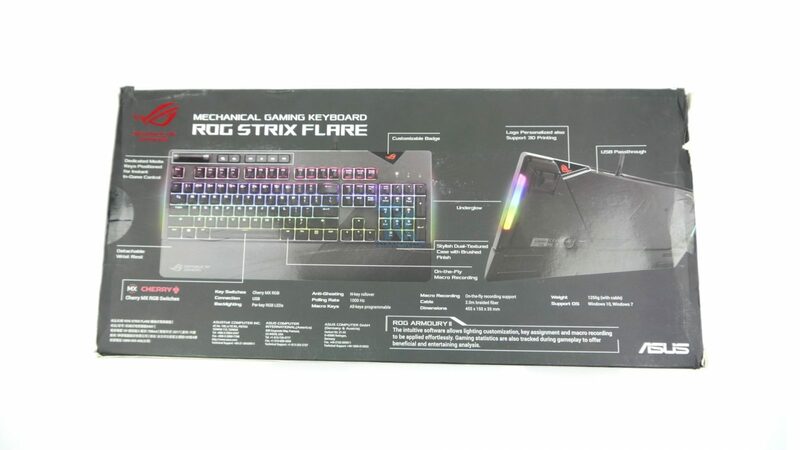 The first impression after taking out from its plastic packet, ROG STRIX Flare looks stealthy and plain styling with angled brushed finish on the right side. 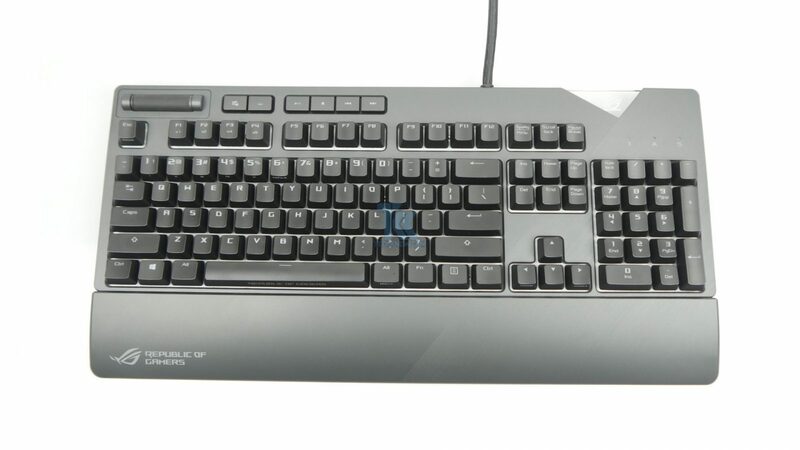 The keyboard features a standard 104 keys US layout. 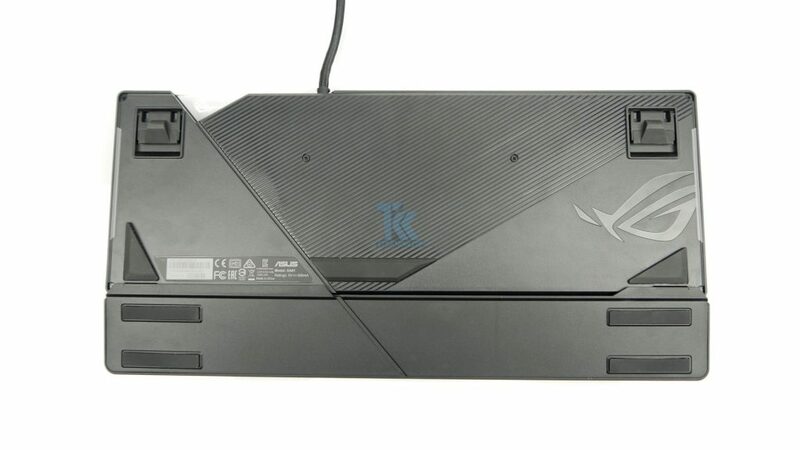 The ROG STRIX Flare comes with dedicated media control keys on the left side, which is unique as a most common place for this buttons are the right side, but ASUS but Asus put them on the left side, so you don’t need to remove the hand from mouse during gaming if you want to change the volume. Taking about volume, I loved the volume scroll which is smooth and precise. 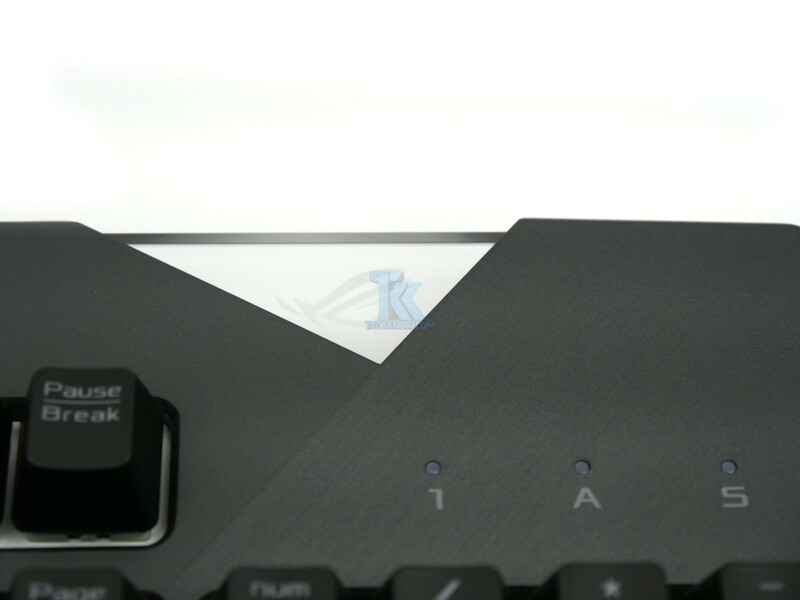 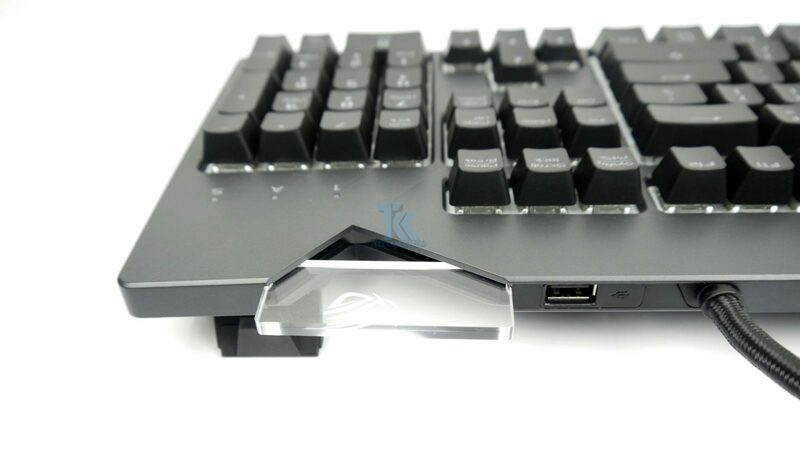 On the right side, is small triangular cut that holds an acrylic badge, which is illuminated when keyboard power on. 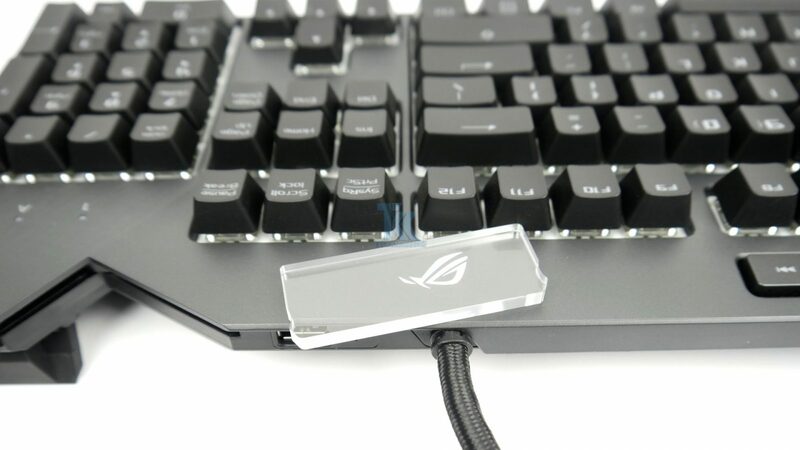 The default acrylic badge comes with the ROG logo emblazoned on it, but ASUS also includes a blank piece that you can apply your own design onto. 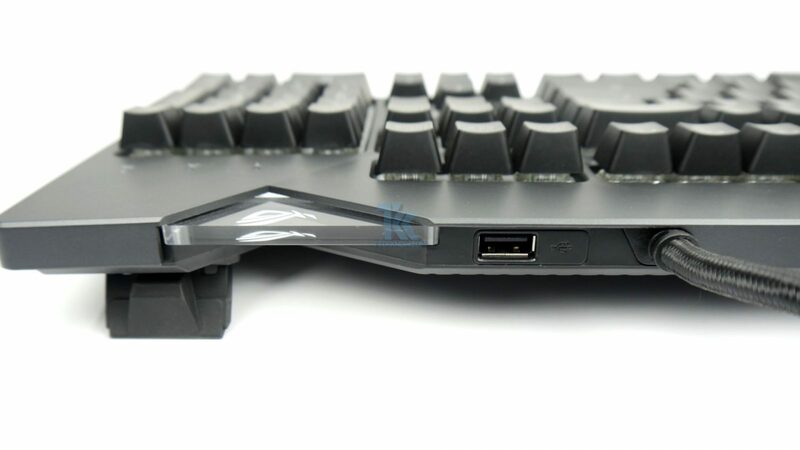 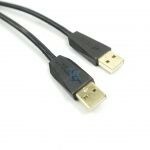 The top back holds a USB pass through and the main cable which is breaded. 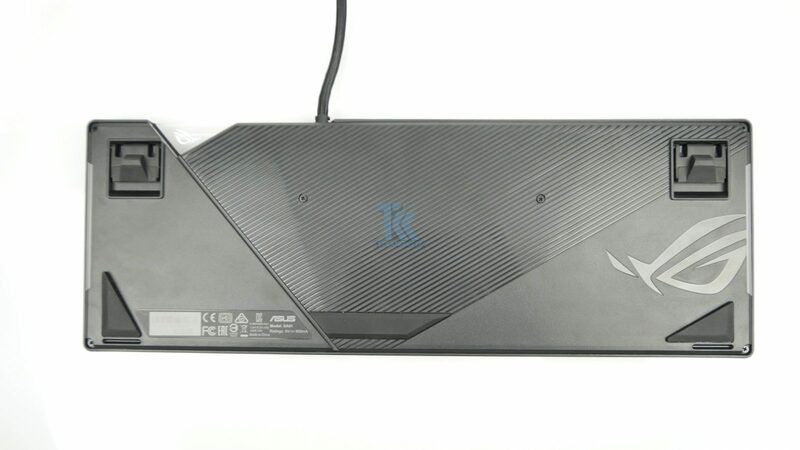 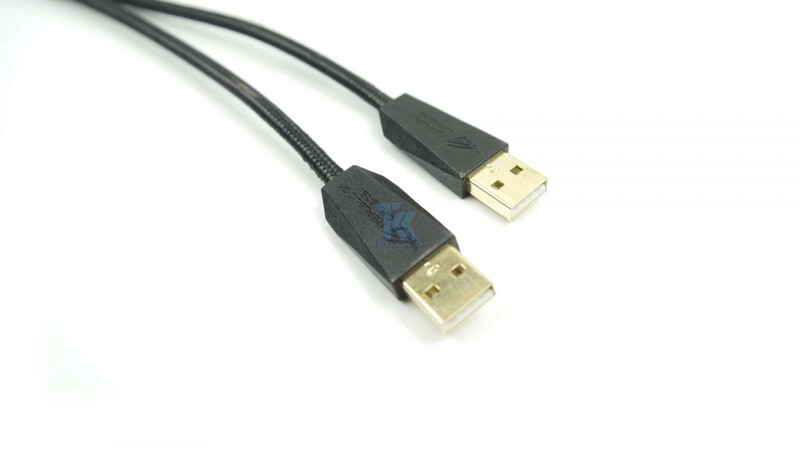 The back side we see more ROG styling with lots of big rubber feet and one cable channel if you want to use it for your headphone cable. 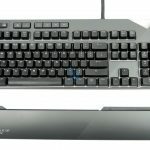 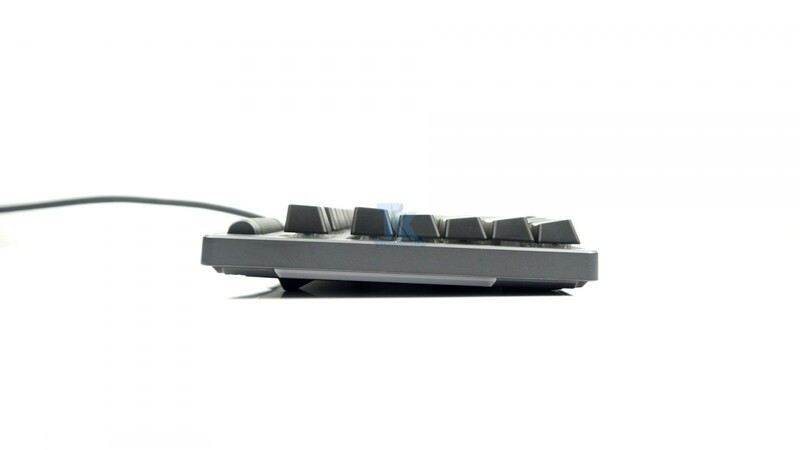 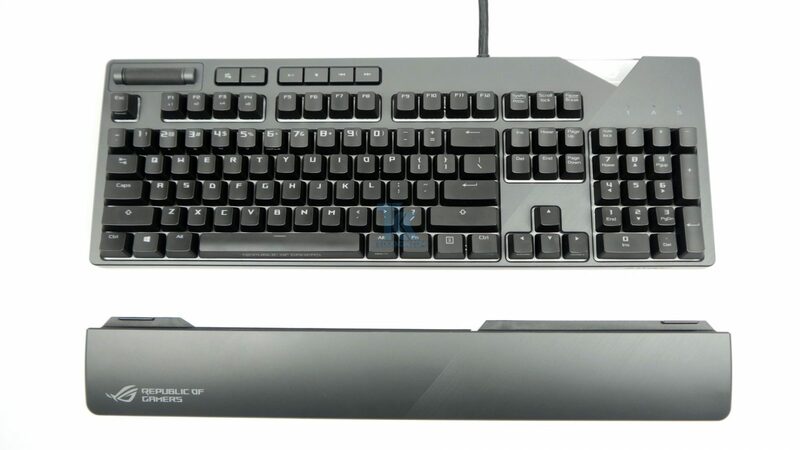 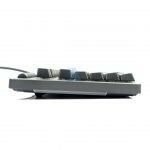 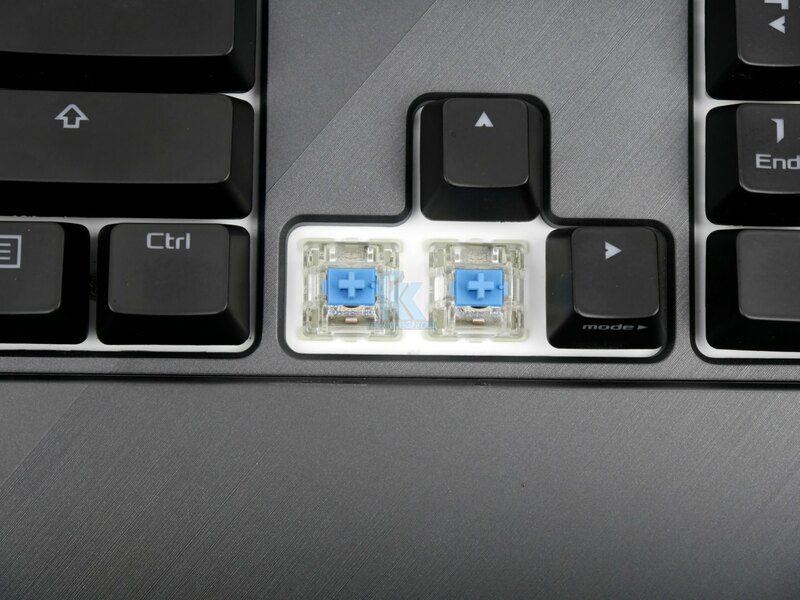 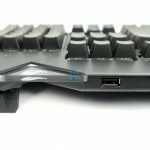 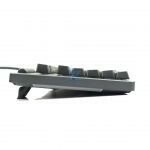 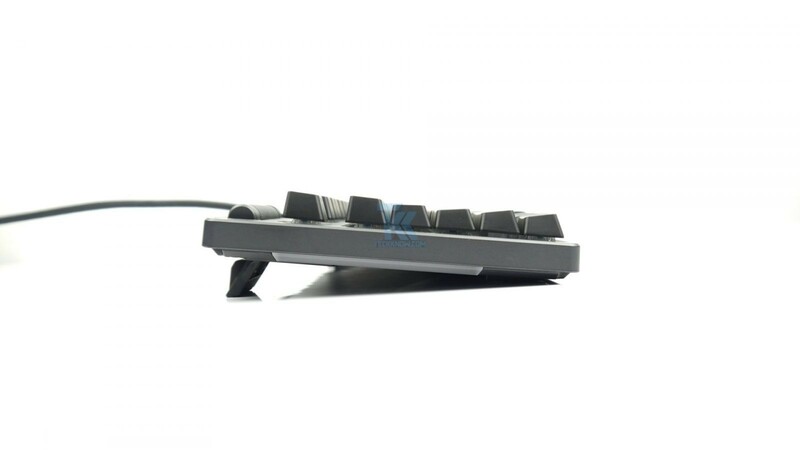 For keys are standard Cherry MX switches and there are not much to talk about depending on the key type you choose it will perform as expected for a genuine Cherry MX switches. 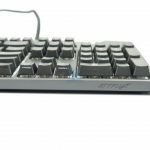 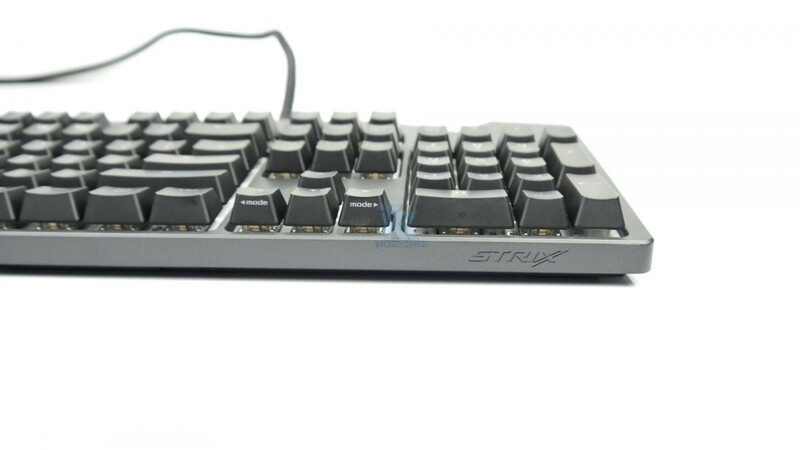 The STRIX Flare available with RED, BROWN, BLUE, BLACK, SPEED SILVER and SILENT RED Cherry MX switches, pretty much all switch types preferred by gamers and enthusiasts.